1. 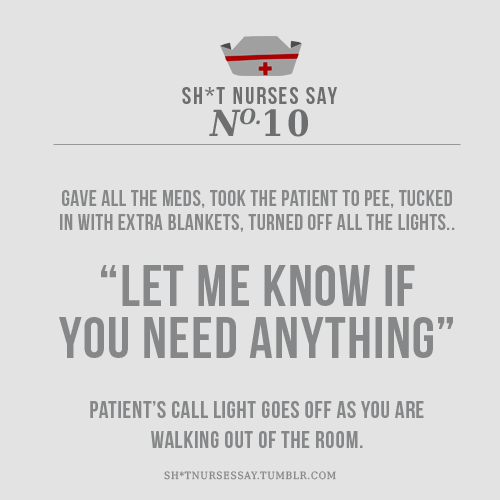 Understands they are not the nurse's only patient. 2. Would like to do nothing but listen to what the nurse & doctor want him/her to do. 3. Only has medication to be taken once per shift. 4. Is not involved in the medical profession. 5. Thinks the call light is annoying & only uses it in an extremely dire situation. 6. Does not have demanding family members. 7. Appreciates all the nurse does for him/her & says so once in awhile. 8. Has a nice, but brief, conversation with you when you enter their room. 9. 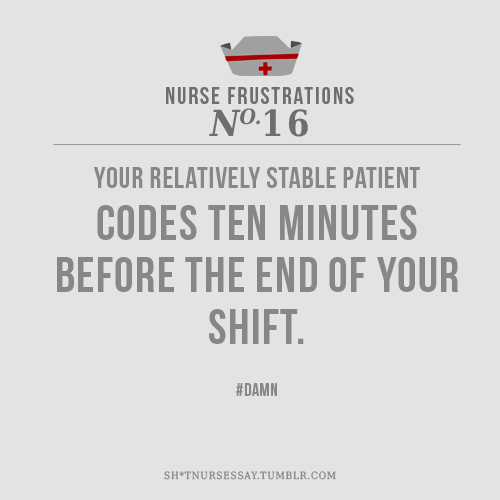 Does not code, fall, or go into respiratory distress on your shift. 10. Leaves the hospital feeling better than they came in. That's really all we want.....most of the time. ** Most of this is completely sarcasm. As an RN, we came into the job knowing what we were getting into. 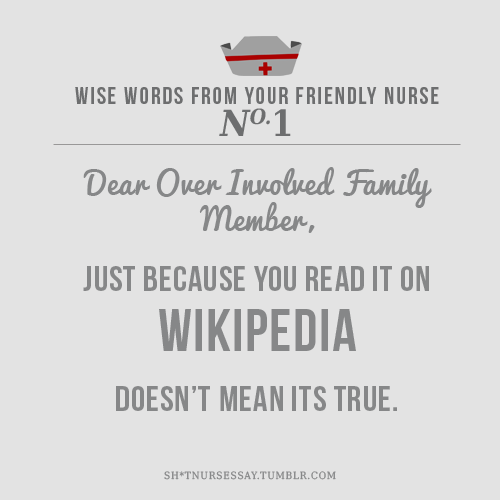 If you would like to be featured in Notes on Nursing, leave a comment below or e-mail me. Features can be from nurses, nursing students, nursing assistants, or a perspective from a patient about their experiences with nurses. I completely agree with all of the above. #3- I wish! that would be magical. #8- emphasis on the word "brief!"